Romantic with geometric accents is great way to go! 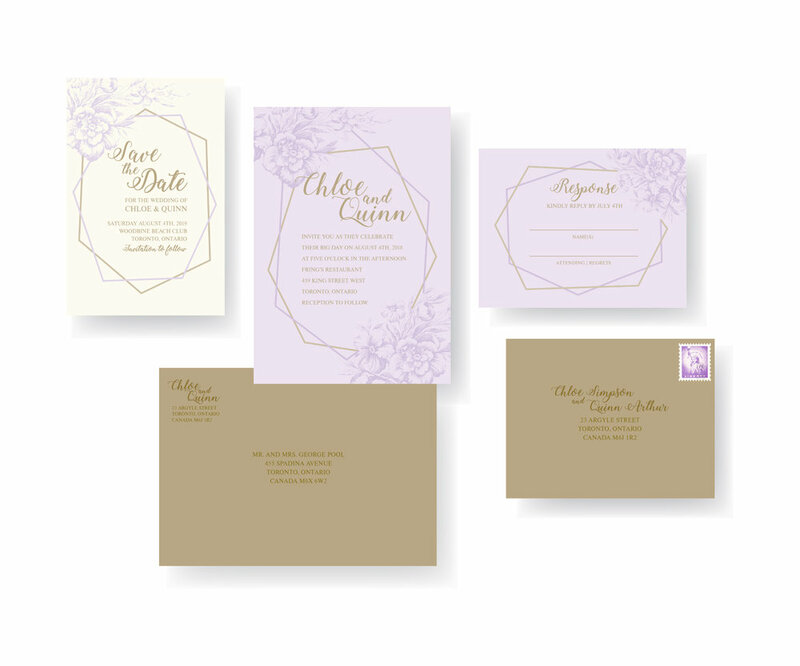 Choose soft colours or keep these on a classic off white card stock. Great for many wedding styles... add matching save the dates and day of stationery. These will make you shine in more ways then one! Add simple stripe pattern to the backside of this design.